το “Path to Paradise”, στο Princes Park, την Κυριακή 1η Μαρτίου στις 10.30π.μ., με σκοπό να στηρίξει την Ορθόδοξη Ιεραποστολή του Πάτερ Θέμη στη Σιέρα Λεόνε. Please click the link below to see photos of the ceremony, as well as a few words from Former Greek RSL President, Brother Themi Borobokas. The new YOUTH Chapter ACHILLEAS will be inaugurated and the foundation officers will be installed in Melbourne VICTORIA on Sunday 16th December 2012. The National President, Elias Doufas, will attend the Inauguration/Installation and offer the congratulations of all Ahepans and present the Charter from the National Lodge to the foundation President Jiannis Tsaousis. ACHILLEAS YOUTH CHAPTER is considered as the “Re-birth” of AHEPA in Melbourne as it has been a long struggle by existing and aging members to introduce new younger members to AHEPA in order to pass on the baton and continue the wonderful work that is captulated in our Objectives and Principles of Education, Philanthropy, Civil Responsibility and Individual Excellence. 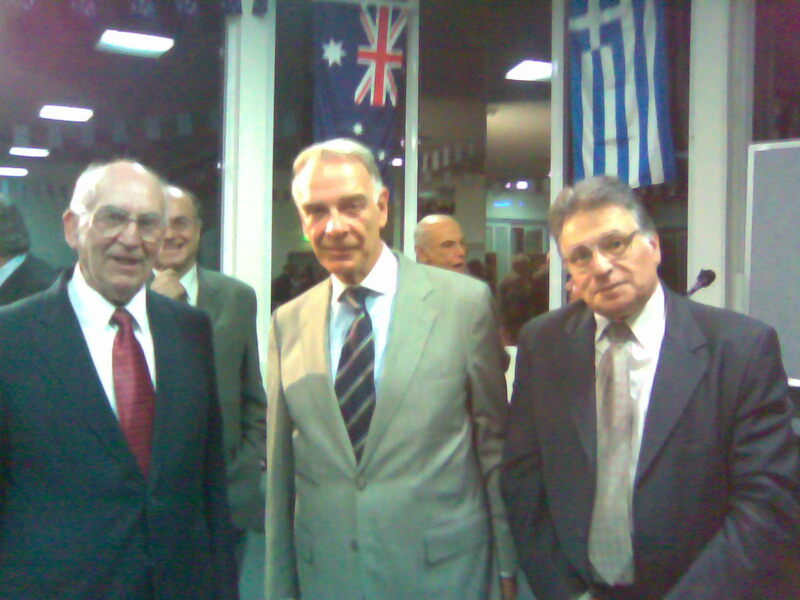 APRIL 2010 – At the recent Update on Greece by His Excellency Mr. Alexios G. Christopoulos, Ambassador to Australia from Greece. 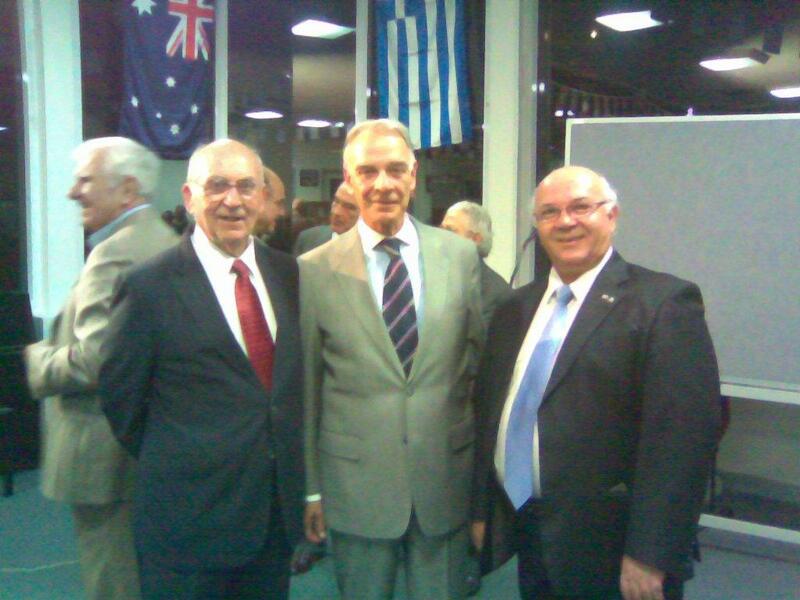 Photos show the State Lodge President of Victoria Bro Spiros Korosidis and Bro Spiros Rombotis and second photo Bro Nick Katris.